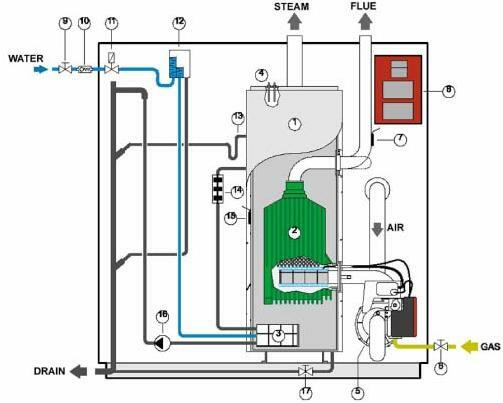 The natural gas-fired humidifier generates steam for humidification, using gas burners which are fired into a heat exchanger. The heat exchanger is submerged in a tank of water. When there is a call for humidity, the burners fire and generate steam until the call for humidity ends.